Lately Danai Gurira’s resume is enough to give a fan whiplash. 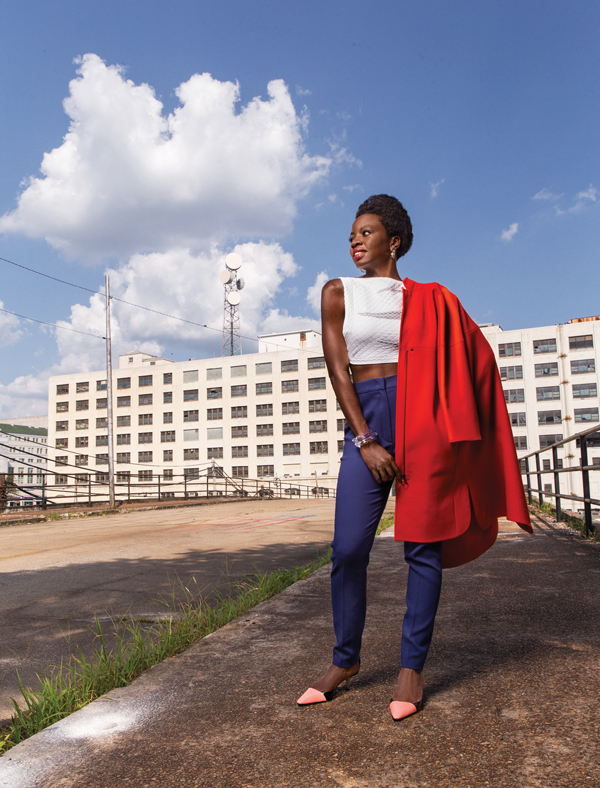 Best known for her role as sword-wielding Michonne on AMC’s The Walking Dead (season seven returns October 23), the actress and writer has also emerged as a power player on the stage and the big screen. Last spring the Broadway drama Gurira wrote about a group of captive wives during the Liberian Civil War, Eclipsed, was nominated for a Tony Award for best play. She’ll play Tupac Shakur’s activist mother (and part-time Atlantan), Afeni Shakur, in the upcoming biopic All Eyez on Me, and she’ll soon star in Marvel’s highly anticipated Black Panther film, which starts production in January. 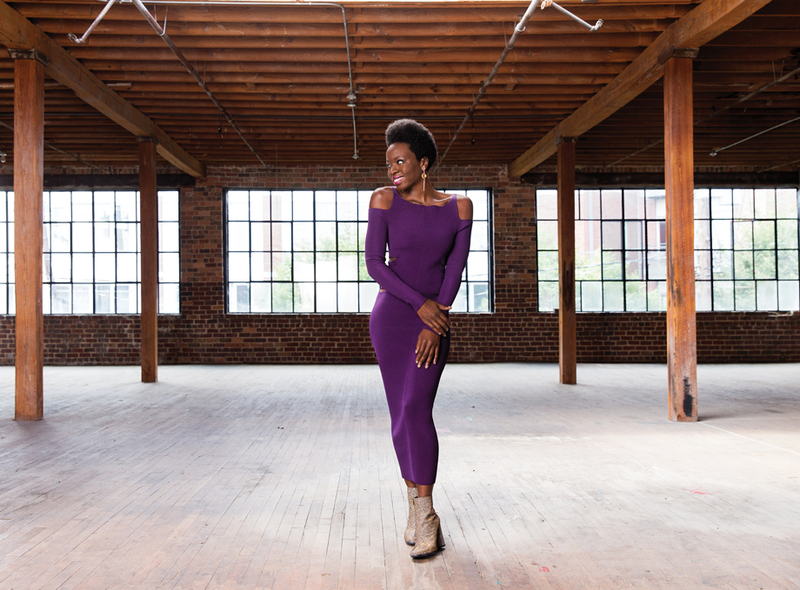 Gurira, a part-time Atlantan herself, tells us about the strong, complex women she’s drawn to write and play, her life in Atlanta, and that one local craving she can’t find anywhere else. Errin Your character Michonne on The Walking Dead is a survivor. Part of her strength is her vulnerability. Why do you think she resonates so much with viewers? Danai I think from the get-go [executive producer] Robert Kirkman created a very fascinating woman on the page. Right down to her dreadlocks—you don’t see that type of hair on TV very often. Down to the fact that she has this stunning Japanese weapon of war as her weapon of choice. I love the fact that she is a complex human being. She contains a certain degree of mystery. She also has a very big heart. That only starts to come out as she’s progressed through the seasons. Her instincts are like a cat, her brain is as sharp as a needle, her body is ready to pounce, and she is very, very smart. I love the fact that we see in her flashback/dream sequence that she’s someone who was very cultured in the previous world, went to art exhibits, and has an opinion on art. Errin It seems that portraying strong women is really important to you. It’s also a theme of the play you wrote, Eclipsed, which starred Lupita N’yongo. Danai Plays are definitely my vehicle. [They are] really my manifestation of how I want to see and hear African women. I was born in the United States but raised in southern Africa, which is where my parents are from, where my family’s from, and what my heritage is. [Eclipsed] is something I started to create because I couldn’t find those stories about African women. I couldn’t find the complex narrative that allows the African woman to be seen front and center on a stage and her story to be given as much value as anyone else’s. The idea of strong women for me . . . absolutely I think it’s very important that you show women’s strength, but I think it’s also important that you show our flaws, our complications, the full breadth of our humanity. Errin You recently signed on to Marvel’s Black Panther superhero film, which stars four black leads. I think this really has the potential to break the internet. What was it like to get that offer? Danai I was like, “Really? Me? Oh. Oh, that’s amazing.” I was surprised. Danai Because I never imagined I would be asked to do this. When I met with [director] Ryan Coogler, whom I deeply respect and admire, I was floored by his vision and by his heart, his energy, his power, his intellect, and [his] ability to tell a story. I was really amazed by the parallels [between the story and] the things that I try to do as a storyteller in theater. And the fact that it’s at the level of Marvel. I grew up watching other types of people be portrayed in this realm, but not very often [have] I watched African people get to be the storyteller, get to be the subjects of the story, and get to have that type of an engine behind them. To be a part of that coming to fruition finally from the African perspective, it’s really thrilling. I’m in an inarticulate place about it because it’s just so astounding to me that I get to be a part of this. Errin You’re also playing another high-profile role, Afeni Shakur, in All Eyez on Me, about the life of Tupac Shakur. How much did you know about her before you took the role? Danai I’m a researcher. I’m a playwright. I’m an academic. I read Jasmine Guy’s book [about Afeni Shakur], which is basically her talking about her life [in] first-person, very vividly. You really get a feel for her voice there through that narrative. How she made [her son] such a special human being. They might have been as poor as can be and struggling, going from relatives to relatives, but she would always make sure that he was learning about who van Gogh was, that he was reading the New York Times, and that he knew what was happening to Mandela in the 1980s. He [attended] the Baltimore performance arts high school. She was always making sure that he had an agile mind in a world that she knew was largely not going to work for him, that was against him in many ways. The way she chose to equip him I found so, so, so powerful and so smart. Errin I want to talk about living in Atlanta. What does an ideal day in the city look like for you? 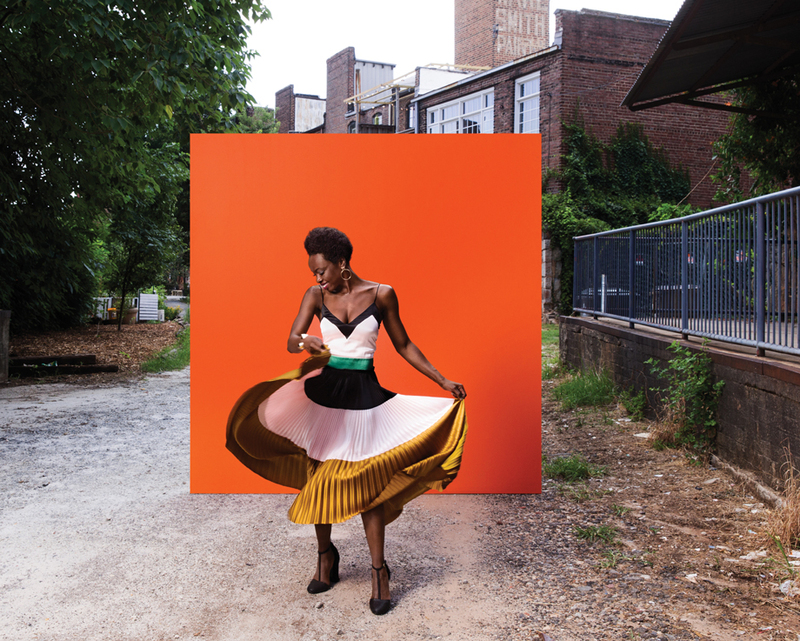 Danai I tend to be around the Inman Park/Virginia-Highland area a lot. Just constantly there are new things, new restaurants, and new little stores. I was so bummed because I [traveled to] other parts of this country, and I was looking for a certain thing that I buy from Whole Foods in Atlanta. Danai Cashew cheese. I gave up dairy a couple of years ago, but this cashew cheese is just the most amazing thing. I was looking for it, and I couldn’t find it anywhere in New York or in Los Angeles. I’m like, “Why is this?” I come back here and find it’s a local product, that’s why. The only place you can get this amazing cashew cheese is in Atlanta. There are just things like that where [the city has so many] little surprises. The deliciousness of King of Pops. Krog Street Market, [where] there are these astounding chocolate makers that are making it from scratch. It’s stunningly delicious stuff. I’m still in exploration mode. Every time I explore I find something really cool and fun.